WORK IN LONDON?....WORK FROM HOME?.....LARGE FAMILY MOVING IN TOGETHER BUT NEED SEPARATE LIVING QUARTERS?......Homes On Web are delighted to offer for sale this five bedroom detached property located less than a mile from a train station serving London Euston. Situated on over 0.5 of an acre plot in Church Green Road, this property is positioned on one of the most prestigious roads in Milton Keynes & offers three separate buildings that provides excellent flexibility for perspective buyers. 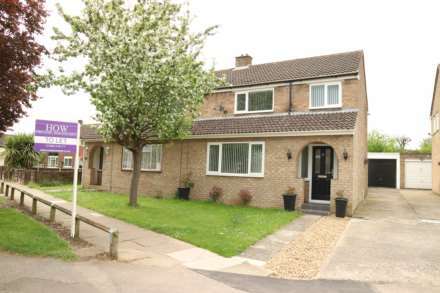 The main property comprises of; entrance hall, two ground floor bedrooms one with an en suite. Family room with bar, lounge, study, dining room, kitchen breakfast room & utility room. On the first floor there are three rooms being used as bedrooms & a first floor bathroom. There is a annex/one bedroom house & a potential studio apartment ( subject to planning consent) on the grounds along with a double garage. The rear garden is south facing & very private. To the front benefits include parking for several cars via electric iron gates. This property could not only be someone`s perfect home but also a great investment with possible future development. Properties like this are rarely available and we recommend internal inspection to fully appreciate all it has to offer. Front door. Radiator. Door to inner hall way. Double glazed window to side. Built in wardrobes. Door leading to en suite. Radiator. Fitted in a three piece suite comprising of; low level WC, wash handbasin, shower cubicle. Tiled to splashback areas. Heated towel rail. Tiled flooring. Extractor fan. Double glazed doors leading to the rear garden. Brick built bar. Opening through to living room. Double glazed windows to front & side. Feature fireplace. Double glazed doors leading to the study. Radiators. Double glazed doors leading to the rear garden. Radiator. Double glazed window to side. Stairs rising to the first floor accommodation. Tiled flooring. Doors leading to the ground floor bathroom & kitchen/diner. Fitted with a range of wall and base units with complementary worksurfaces comprising of; one and half bowl sink drainer unit. Tiled to splashback areas. Space for Range cooker, dishwasher and fridge freezer. Double glazed doors to rear garden. Double glazed windows to side & rear. Tiled flooring. Door leading to utility room. Fitted with a range of wall and base units with complementary worksurfaces. Space for washing machine & dryer. Wall mounted boiler. Double glazed door to side. Double glazed window to side. Doors to all rooms. Double glazed frosted window to side. Double glazed Juliet balcony overlooking the rear garden. Radiator. Leading to two separate loft spaces being used as bedrooms. Parking for several vehicles via secure electric gates. Access to double garage which is situated to the rear via double secure 6ft wooden gates. Large south facing private rear garden. Mainly laid to lawn, large patio and decking area with feature pond, Mature plants & trees with access to the annex/one bedroom house & the studio apartment situated behind the double garage. Tv point. Stairs to first floor. Access to kitchen. Double glazed door leading to the front driveway. Fitted with a range of wall and base units with complementary worksurfaces comprising of; stainless steel sink drainer and mixer tap. Built in oven and hob. Wall mounted boiler. Radiator. Tiled to splashback areas. Double glazed window to rear. Double glazed door leading to the rear garden. Sky light window to front. Radiator. Door leading to the dressing area. Fitted in a three piece suite comprising of; low level WC, wash handbasin, panelled bath, tiled to splashback areas. Heated towel rail. Up & over doors with power & light. Access via a double glazed door into the kitchen/lounge. Fitted with a range of wall and base units with complementary worksurfaces comprising of; stainless steel sink drainer and mixer tap. Built in oven and hob. Radiator. Tiled to splashback areas. Double glazed window to side. Double glazed door leading to the rear garden. Doorway leading to bathroom & storage area/bedroom. Built in cupboard housing a hot water tank. Has been used as a single bedroom by the current owners. Fitted in a three peice suite comprising of; low level WC, wash handbasin, panelled bath. Tiled to splashback areas.